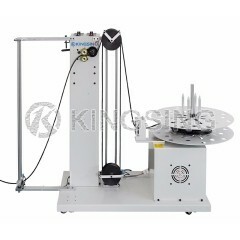 The powerful cable prefeeder KS-W223 is designed for dereeling large wire or cable up to 10mm in diameter from either a wire spool or barrel, horizontal structure enables heavier wire reel load, it provides a constant and tension free dereeling which covers a wide variety of wire and cable. 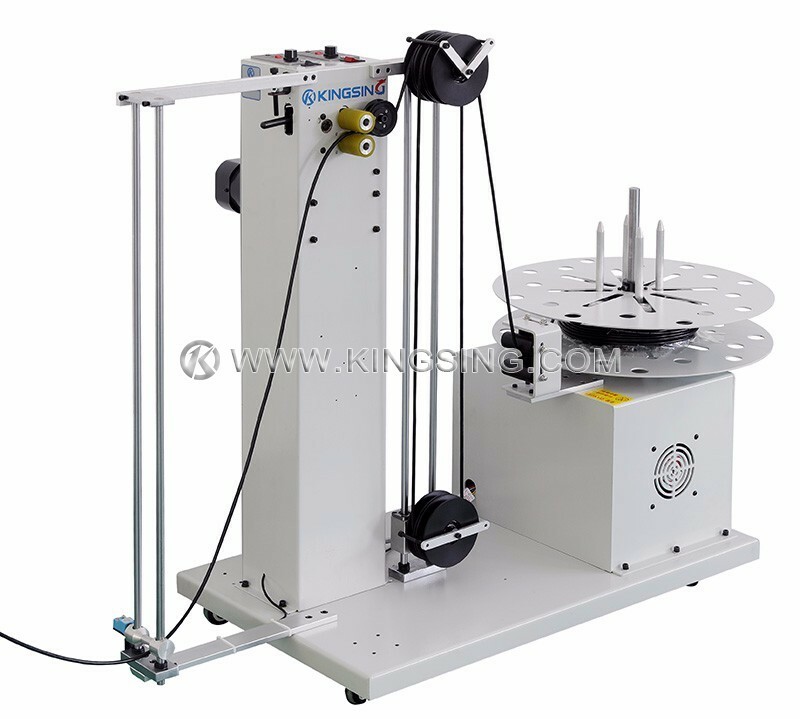 It does not require any electrical connection to its hostmachine, this model works independently and is available to be integrated with a wire terminator or wire cutter stripper, wire dereeling speed automatically adjusts to the speed of demand. 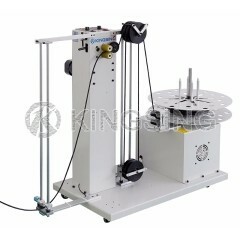 It's able to handle both loose and reel wire/cable weighing up to 70 Kg. 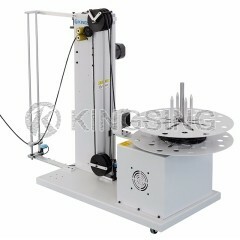 Easy installation - typically requires little adjustment. 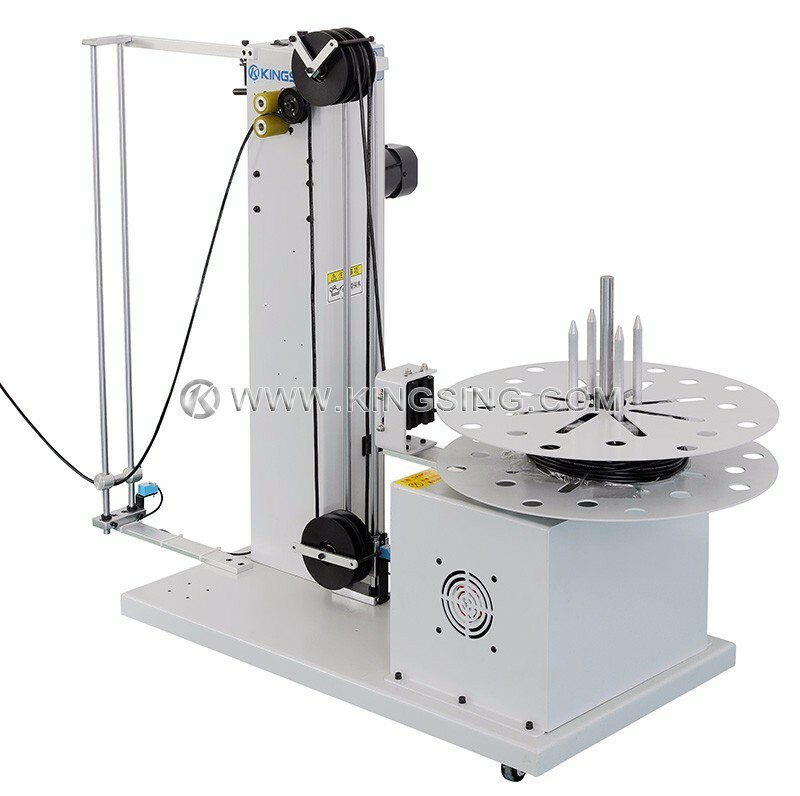 Adaptable for various types of materials, quick wire loading and unloading. 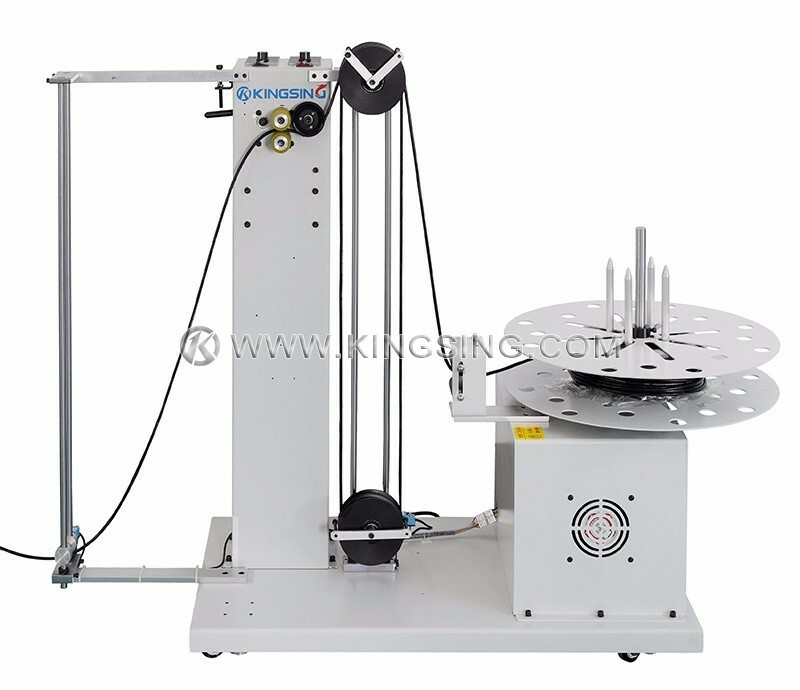 Two-motor design guarantee powerful feeding, motorized brake control method allows accurate feed effect, it's able to keep up with high speed and high acceleration applications.